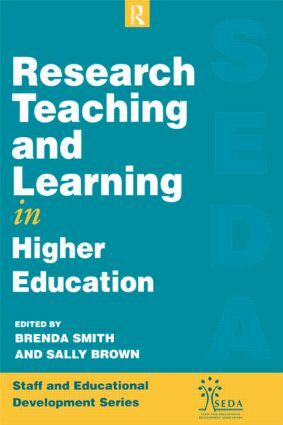 Exploring the issue of how educational staff can balance successfully their research and teaching activities, this volume argues that the entire system governing the relationship amongst research, teaching and learning should be dismantled and rebuilt, focusing on symbiosis rather than conflict. Written by experienced and well-known practitioners and published in association with the Staff and Educational Development Association (SEDA), each book in the series contributes to the development of learning, teaching and training and assists in the professional development of staff. The books present new ideas for learning development and facilitate the exchange of information and good practice.